Whenever we download zip or rar files from the internet we need to extract them from the archives to folders . What if they automatically get extracted. 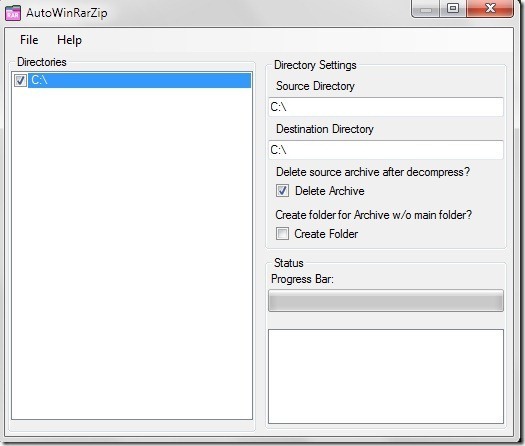 AutoWinRarZip does exactly the same. No need of any software like WinRar or 7zip or any other. Just install the software . Specify the directory for which you want to automatically extract the files. You can also specify if you want to automatically delete the archive or not. Like in above case any zip or rar file downloaded to or put into C: will automatically be extracted to the folder named as the file name . Isn’t that cool. Leave your comments . Works with Windows XP , Vista and Windows 7.